Thanks for stopping by the Dies R Us Inspiration Blog. It's Ann here with a card I needed to make so I could give my nephew some money for his college books come next semester. Zach is studying Pharmacy at WVU, and even though he has a scholarship to help pay for tuition, anyone with children in college knows how expensive books have gotten over the years. 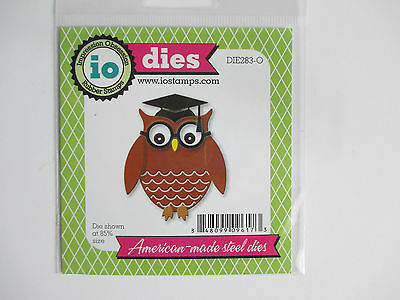 When I was browsing through the Dies R Us Store, I came across this embossing folder by Darice called School Books. I have to admit it sat on my desk for a few months before I knew what I wanted to do with it. I guess you can say I work better under pressure, and since Zach is going back to college in a few weeks, I knew I was running out of time. 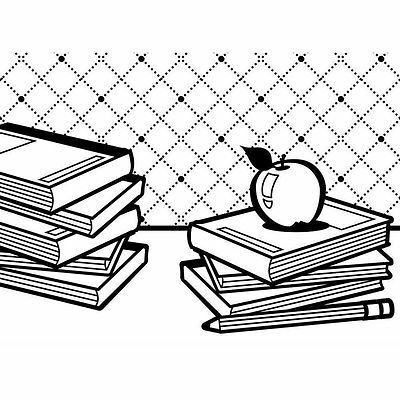 I covered the apple on the stack of books with the owl, but if you want to use the embossing folder with the apple, it would make a great card for a teacher. The words "for" and "you" are from the Accessory Words #2 and Accessory Words #3. For the pencil, I just cut it out of the paper after embossing it, colored it in, and adhered it back on with some foam tape. A fantastic card for a student Ann. Brilliant embossing folder which I have not seen before here in the UK. The owl die is so cute, and I really like the font on the word dies. I am sure your nephew loved it! What a fun creation Ann ... just perfect for any student! Thanks for awesome inspiration. Your nephew certainly will appreciate the book-aid, Ann! Your loving card looks fantastic! I have never thought of embossing twice - once for the background and once for fussy cutting and dimensionalizing! Beautifully designed.... It's fun, yet grown up, serious, yet full of smiles! Congratulations to your family! Love that owl and all of that wonderful texture in your background. Super back to school/college card! Lovely idea!! and the card is just perfect!! Ann, this is so darling!! That embossed background is just perfect and I love how you popped up and colored the pencil, the owl is great, perfect card for him!